Can you tell I was in the mood to play with my iPhone camera today? Homemade salsa is so much better than the stuff in the jar at the store. 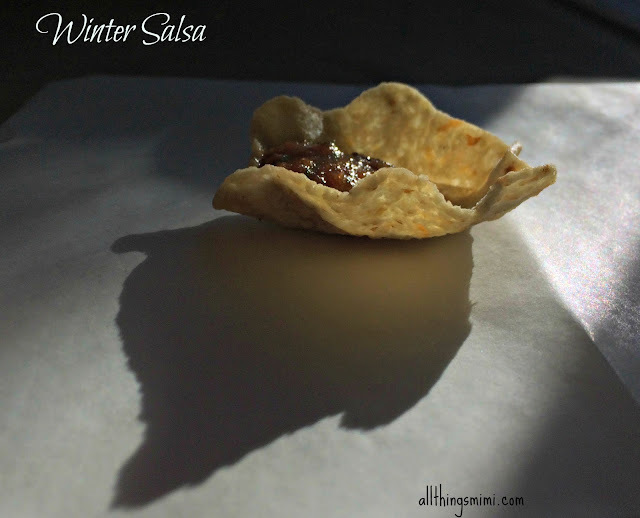 I learned a long time ago that salsa is easy to make, and if you make it yourself, you can control what goes in it. Not to mention you have complete control over the heat level. In the spring and early fall, when I have fresh garden tomatoes and jalapenos, I like to make salsa with them. It just tastes better. 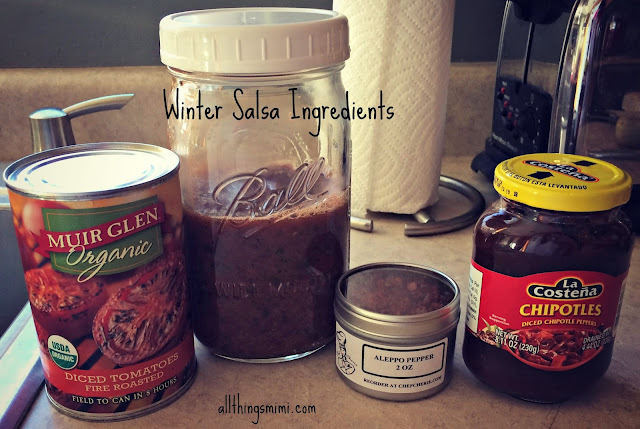 But in the winter, I change up my recipe and use canned tomatoes and jarred chipotle peppers. I love the smoky flavor and the heat! Throw everything in the blender and blitz. That's it. Taste it and make sure it doesn't need more salt or lime.